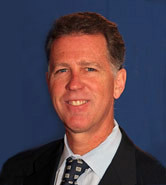 Dr. Donn Schroder is board certified in general surgery. He has practiced surgery for over 20 years and is experienced in the latest techniques. Dr Schroder is dedicated to providing the best possible care for his patients by spending the time they need with them to deal with their surgical problems. ... Read More He was the president of the Academy of Surgery for Detroit in 2002 , he was the president of the Midwest Surgical Association in 2009-2010 and he is on the editorial board of the American Journal of Surgery. His practice specializes in breast, thyroid, and abdominal surgery. He was one of the first in Michigan to do video laparoscopic surgery and was the first to bring radio-frequency tumor ablation to St. John Hospital & Medical Center. Dr. Schroder is one of the pioneers in laparoscopic removal of the gallbladder, repair of inguinal hernia and colon removal. He remains committed to bringing cutting edge technology combined with personal caring to his patients. Dr. Schroder has been repeatedly as one of the region's most respected general surgeons in Hour Detroit magazine's annual "Top Docs" ranking. Most importantly, Dr Schroder will do his utmost to take the best possible care of you.